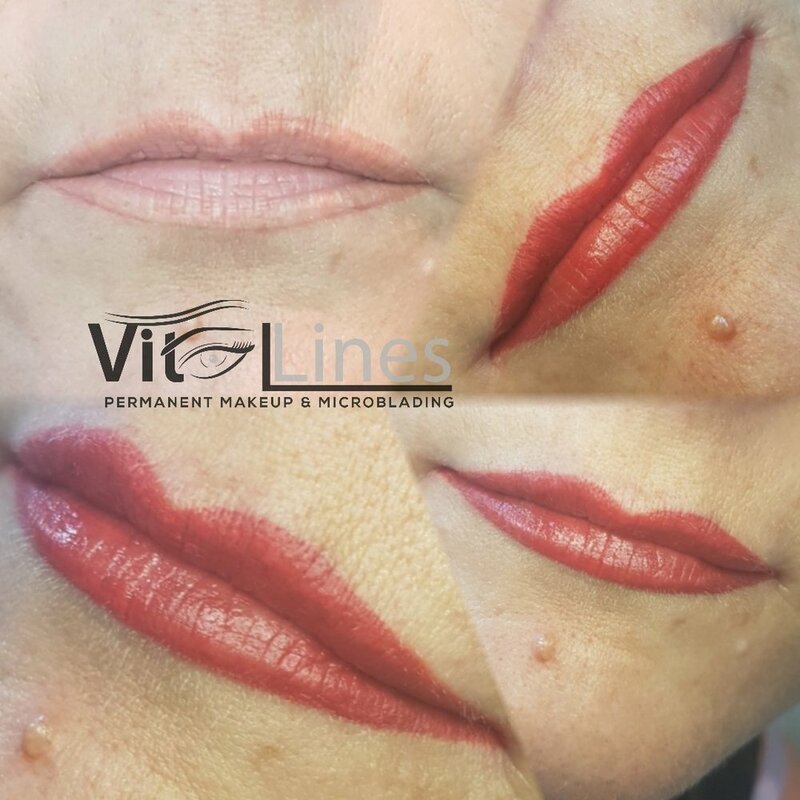 Lips permanent makeup it is a process when the medical grade pigments is gently implanted using digital machine with a variety of disposable needles. 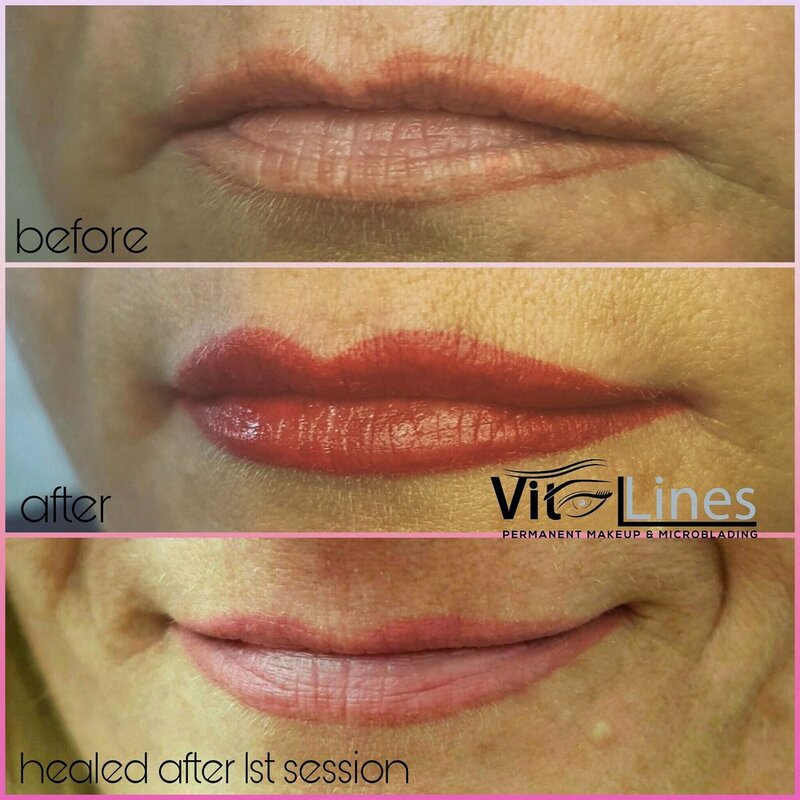 Cosmetic tattooing will give your lips fullness and definition. Subtle corrections can be made to thin, uneven or unsymmetrical lips. Shape and lack of natural colour can be altered and corrected. Permanent makeup procedure can transform your lips by adding symmetry and volume you're dreaming of! Please Note: Darker skin tones may not be suitable for lip permanent makeup. Due to melanin, natural undertones and trauma to the skin it is high risk to hyperpigmentation, which lead to undesired result and drastic colour change. For cold sore sufferers it is advised to take a course of anti-viral cold sore medication prior to starting a treatment.